The USC Center on Public Diplomacy [JB emphasis] and the Ministry of Foreign Affairs in the Netherlands wrapped up programming Thursday for Public Diplomacy Week in Brussels, an event that included a series of workshops about the impact of digital technology on the future of public diplomacy. The Center on Public Diplomacy has hosted these workshops for 14 years in Washington D.C. and Los Angeles, but it decided to partner with the Dutch Ministry this year to allow more international participants to attend the workshop, according to Stacy Ingber, CPD’s assistant director of programming and events. The program ran Feb. 4 to 7 and started with a series of workshops hosted by the Center on Public Diplomacy on utilizing data for public diplomacy strategy and culminated in the Diplocamp, a program hosted by the Dutch Ministry of Foreign Affairs that focused on the latest trends and issues in public diplomacy. Vince Gonzales, a professor of professional practice and associate dean of student affairs at Annenberg, said the sessions were useful, as many practitioners or organizations don’t know how to spread their messages efficiently to their targeted audience. Ingber said the workshops related to current events and allowed participants to apply public diplomacy skills to issues facing real practitioners. She said the workshops included a variety of larger concepts and allowed participants to break them down into individual issues. Since platforms are always evolving, Gonzales said practitioners have to constantly learn to adapt. 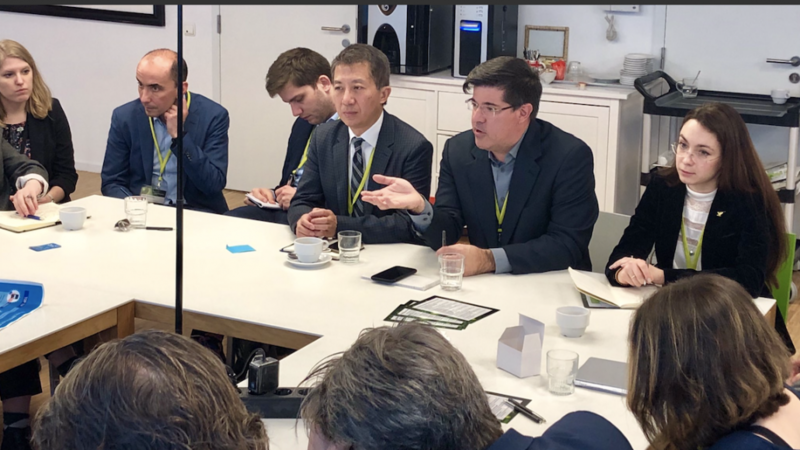 Ingber said the Diplocamp portion of PD Week, hosted by the Dutch Ministry, allowed participants to continue their conversations about future innovation through “un-conferencing,” where participants can leave and enter discussions freely. “The Dutch Ministry of Foreign Affairs is a very forward-looking embassy … and they’re really trying to get the pulse on what are those next steps, what are those critical competencies for public diplomacy practitioners, for scholars, for non-governmental organizations, to be thinking about for 2020 and beyond,” Ingber said. Nikki Burnett, a graduate student fellow at CPD, said she attended the event to learn about digital content and public diplomacy from professionals.